Morocco has launched an operation against people-smuggling mafia and the migrants they bring in from sub-Saharan Africa, a government source said Thursday. Hundreds of African migrants, who had hoped to make their way to Europe, have been picked up in the north of the country and placed in detention centres since the operation was launched last week, the source said. "The aim is to take them out of the hands of the mafia gangs which have developed in the country," the source added, without giving precise figures. 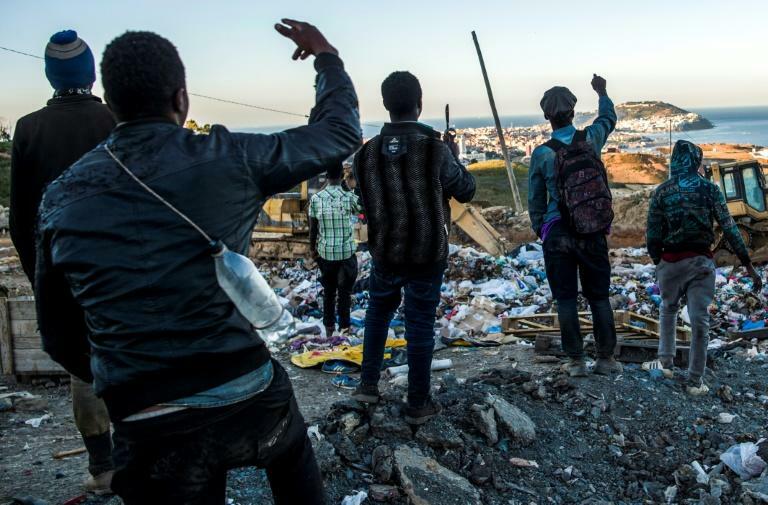 The anti-migrant action was launched after hundreds of migrants forced their way into the Spanish territory of Ceuta by violently storming a heavily fortified border fence with Morocco. Ceuta along with Melilla, Spain's other tiny territory in North Africa, have the European Union's only land borders with Africa, drawing migrants trying to reach the bloc. A total of 4,382 migrants have entered the two territories by land since the start of the year, according to the International Organization for Migration. More than 32,000 migrants have arrived in Spain by sea and land this year, making it the main entry point for migrants arriving in Europe, after Italy and Greece. The Moroccan authorities on Thursday held information meetings on their new anti-migrant operations for African and European ambassadors in the capital Rabat.